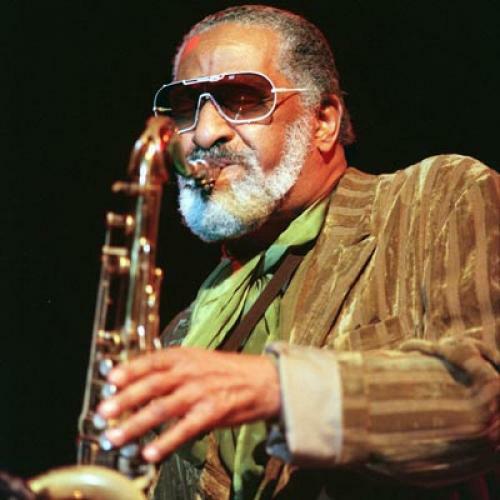 The web, in the way it favors the short form, tends to disserve artists who work on a large scale, such as the jazz saxophonist Sonny Rollins, whose epic improvisations involve the sustained development of complex ideas over time. A master of the big statement, Rollins is not called the jazz colossus for nothing. This past week, the Jazz Journalists Association (JJA) presented its annual awards, and the prize for Best Short Form Jazz Video went to a YouTube clip called Sonny Rollins: Getting It Back Together, made by the jazzhead and documentarian Bret Primack, who calls himself the Jazz Video Guy. Here, I need to come clean about two personal biases: One, I’m a member of the JJA and feel some fraternal loyalty to the group; two, I cringe whenever I hear anyone calling himself “the (blank) Guy”—as in “the Science Guy” or “the Food Guy.” Unless the person is “the Storm Window Guy,” and perhaps even then, the phrase always strikes me as over-reaching in the lingo of humble play. Among the guys (and women) making jazz videos, Primack is surely the most prolific, and Sonny Rollins is his favorite subject. Primack has now made more than 100 short films about Rollins, many of them using (and re-using and further re-using) footage from hours of interviews that he has conducted with Rollins backstage at concerts, at Rollins’s home, and elsewhere. The footage Primack has amassed represents a historic archive of Rollins seen working and reflecting on his work, though many of the films themselves fail to do their subject justice. The self-satisfaction of the Jazz Video Guy sometimes taints the films, particularly in the talking-head introductions where Primack says things like “As great a musician as he is, he’s an even greater friend.” In his infatuation with his subject, Primack presents every utterance of Rollins’s as if it were scripture, even though Rollins tends to speak in well-intentioned platitudes that don’t begin to suggest the advanced sophistication of his music. “He’s more than just a heavy player—he’s the Dahli Lama of jazz,” Primack announces in one video, and many of the films carry over the misguided conception of Rollins as a mystic whose undeniably spiritual persona is something “more” than his deeply profound music. Short clips of Rollins making vague short comments suit Primack’s purpose. Still, they fail to suit the larger purpose of the largeness of Rollins’s art. One film of a single Rollins performance, in its entirety, would say more than 100 short films.